To celebrate this event and the start of the new academic year, the IEEE Student Branch Leuven invites you for coffee and cookies at 10.30am in the entrance hall of the old ESAT building. Be there or be square! 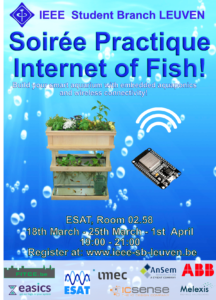 The IEEE Student Branch Leuven invites you to her 13th job fair for high-tech companies and spin-offs. Different companies in the energy, electronics, mechatronics, software development and multimedia sectors are looking for masters, bachelors and PhD's for their jobs and internships. Register here, come to the job fair and win a tablet! ************ Agenda: 13:30 - 16:30: Jobfair and company presentations 16:30 - 18:30: Reception + Tablet Giveaway Register here! Click here to check out the participating companies. 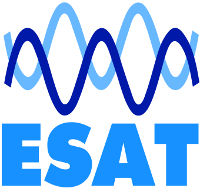 To start off the second semester, the IEEE Student Branch Leuven invites you for coffee and cookies at 10:00am in the entrance hall of the old ESAT building. IEEE Student Branch Leuven invites you to the 15th edition of the Power Symposium. 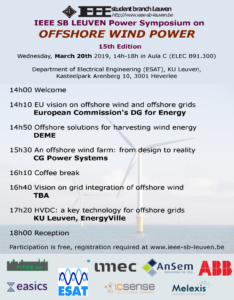 Both academia and industry will give interesting talks on the topic of Offshore Wind Power. Participation is free, but registration is required below.